The gay agenda is at it again, and this time it’s out to brainwash children into believing they can be free to express themselves. The horror! In a recent episode of the Disney animated series Star vs. The Forces of Evil, a boy named Marco creates a female alter-ego — Princess Marco Turdina — in order to infiltrate ‘St. Olga’s Reform School for Wayward Princesses.’ Once inside, he leads the girls to revolt against the authoritarian headmistress, helping the other princesses to believe they can be themselves. 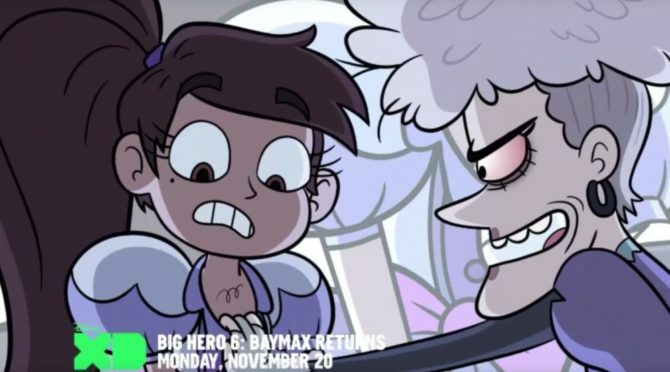 The ousted headmistress, Ms. Heinous, returns, outing Princess Marco as a fake because he has chest hair. “Yeah! We believe in you, Turdina!” another shouts out. “He can be a princess if he wants to!” another shouts. “Turdina is a state of mind!” cries another, cleverly appealing to the parents and older kids who are perhaps watching the show with their young children/siblings. All in all — a pretty advanced exploration of gender with a lesson any kid can apply — boys can be princesses too. Great Disney is telling kids it’s OK to lie and you want to associate that with gays. You know I’ve dreamed of this day ever since I was a little. To have the first Disney male princess. I was hoping for Jason Alexander in a gown. What we got this?!! Um…not so much! Check out The Burning. It’s young Jason Alexander with a full head of hair as a teen camper in a slasher movie. Way better than him being a princess. Or Love Valor Compassion. He pretty much was a princess in that one. Ah, pfff… Have you ever seen this show??? 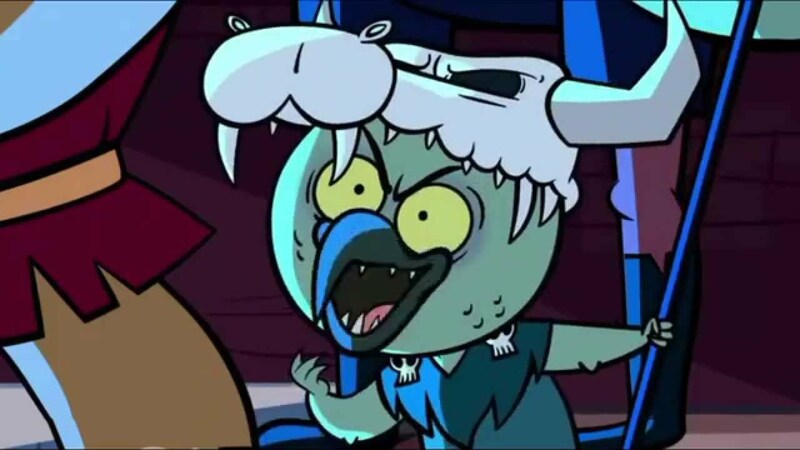 Marco is a badass! He is a straight latin male unafraid of wearing a dress and being called a princess… =/ How many of those can you find in the media? love this, however the opening paragraph gives the right wingers fodder for thinking that other than equality, there actually is a gay agenda. The right-wingers that would read that & believe that don’t need to read that to believe that. Exploration of gender? Hardly. More like disguise as an infiltration technique. Um, yea. What’s up with this? Princess Pony Head calls Marco Turd, that’s where Princess Turdina comes from. Boy mansplains how to be a princess. Pretty much makes the Terfs case for them. I love that show. I haven’t seen this episode yet but I will have to look it up.